Since 2007 . . .
Over 250 community water systems signed up for the program. Over 120 small water systems have developed a plan. 4,000,000 people in Pennsylvania are covered by a Source Water Protection Plan. 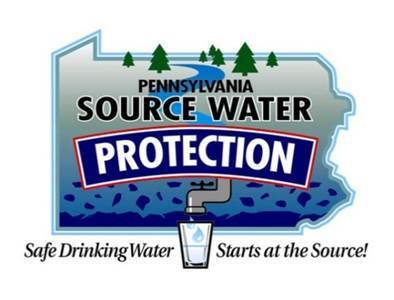 June 30, 2018 marked the end of the 11th year of the Source Water Protection Technical Assistance Program (SWPTAP), a voluntary program administered by the PA Department of Environmental Protection, through financing from the Environmental Protection Agency. Participation in SWPTAP provides Community Water Systems with information to help protect drinking water by developing a source water protection plan, create partnerships in their community, and implement a local program. The technical assistance delivered by the program includes delineation of all their raw water sources, an inventory of possible contamination sources, and selecting management strategies that help the water system with ways to manage their watershed. During the 2017-2018 program year, SWPTAP had an increasing number of partnerships, where several Community Water Systems formed a joint steering committee to manage shared water resources or a common watershed. The River Alert Information Network (RAIN), based in the Pittsburgh Region, is working on a protection plan for several water systems withdrawing from intakes in the Upper Monongahela River. This plan encompasses watershed management areas alongside the river, and will also discuss protection measures for systems operating near the headwaters of the river in West Virginia. Once completed, this plan can be shared with the systems already approved under the Lower Monongahela Regional Partnership. The Berks County plan, completed in 2017, has provided momentum for other Community Water Systems to join the county-wide source water protection program. The Berks County project established a joint committee that meets quarterly to discuss grants, best management practices and projects, and stormwater management. If your community does not currently have a Source Water Protection Plan, contact your DEP Regional Office or Spotts, Stevens and McCoy to learn more about SWPTAP!